Designing the Export of Nurses: Whither “Asian Values” in the Emigration Policies of the Philippines? 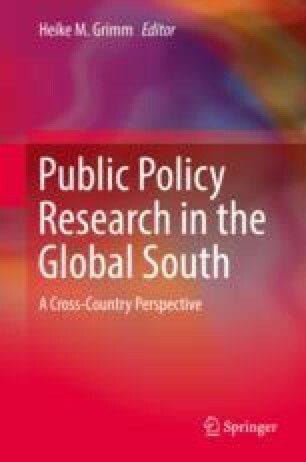 How do governments in the Global South, with abundant supply of labor, reconcile the positive utility of promoting labor migration and the wider effects that emigration has on the families left behind? Taking the case of the Philippines, the world’s largest exporter of nurses (a female-dominated profession), this chapter shows how the public policy perspective sheds light on the ways in which policy-makers in the Philippines reconciled the need for economic growth and the preservation of core cultural values of the country. Situating our analysis within the context of “Asian values”, the policy-makers’ policy narratives are traced in the design process of the Philippine Nursing Act of 2002. It is further revealed how the debates revolved around securing the market for Philippines’ nurse-migration industry. In so doing, it is concluded that while the country belongs to the cultural heritage of Asia, which upholds strong family ties and the central role of women in the rearing of children, its governance structure and regulatory practices have reconfigured Asian values to promote and prioritize economic growth over the core values of the family. US Census Bureau. (2013). Men in nursing occupations. American Community Survey Highlight Report. Accessed October 03, 2017, from https://www.census.gov/people/io/files/Men_in_Nursing_Occupations.pdf.